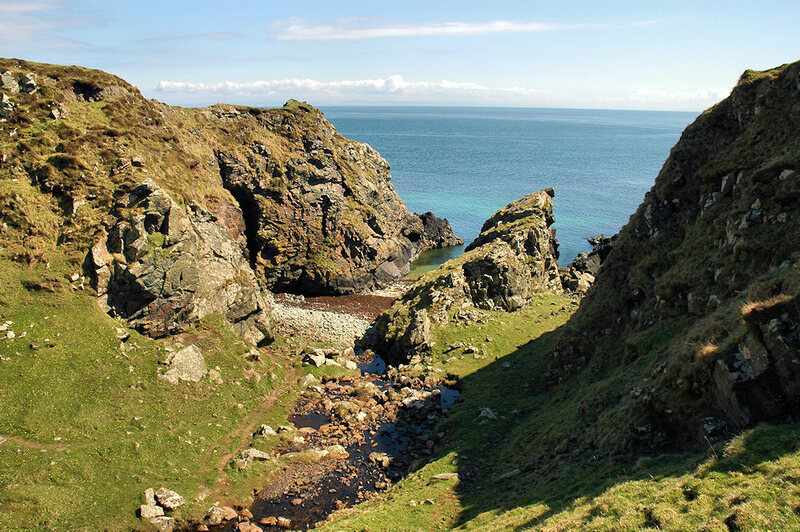 A cut in the cliffs of the Oa in the south of Islay, looking out to sea with Ireland just visible in the far distance. A burn running down into the sea. This entry was posted in Landscape, Repost, Sunny Weather and tagged Ireland, Islay, The Oa by Armin Grewe. Bookmark the permalink.